Hola, Homebrewer! Welcome back to our little show about homebrewing and craft beer! Todd is back from Nashville after attending the Brewer’s Association’s “Craft Brewers Conference”! Spoiler: he had a BLAST. With Todd back, the guys discuss how he spent his time in Nashville. 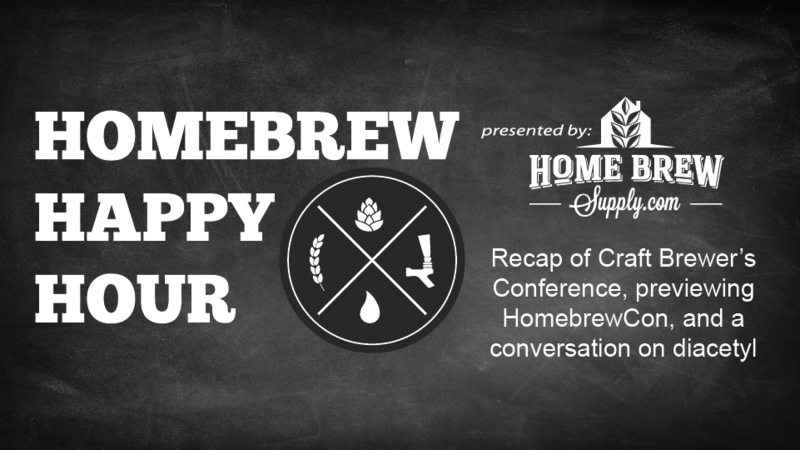 They also discuss the upcoming HomebrewCon, and some results from the recent AHA National Homebrew Competition. After all of that, the guys also take a question regarding diacetyl rest which is super relevant to most of the tailend of the small talk portion of the show!